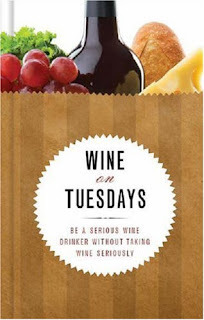 I figured that it was about time for another book review on 1WineDude.com, so I'm jumping back into the book review swing of things with my take on Debra & Keith Gordon's Wine on Tuesdays: Be a Serious Wine Drinker Without Taking Wine Too Seriously. Co-author Debra Gordon is no stranger to wine writing, having penned material for Wine Enthusiast, Wine & Vines, and Wine Adventures. She and husband co-author Keith are also dabbling in blogging. Wine on Tuesdays reflects the Gordon's writing experience - it's well-written, accessible, and at turns funny and engaging. The tone of Wine on Tuesdays is lighthearted and its target is squarely on the wine novice, which puts it into the now-very-crowded field of wine introduction texts. Given the tone and overall style of Wine on Tuesdays, If you're a budding wine lover you could do a lot worse than this well-written guide. Whether or not you will enjoy it is largely a matter of presentation - with so many great overall wine introduction guides available in the marketplace, the one best suited to you may really be down to writing style preference and the order of how the topics are presented. If you want to get into wine in a very structured way, starting with grape varietals first, then try Wine on Tuesdays. If you prefer a less structured approach, then there are better options. It won't replace my current favorite wine intro book, Oldman's Guide to Outsmarting Wine, and it probably won't make its way into my list of Essential Wine Reads, but Wine on Tuesdays is certainly a viable alternative for budding wine enthusiasts - enjoyable, and packed full of relevant and helpful wine info. Nice meeting you tonight. Looking forward to reading your blog . 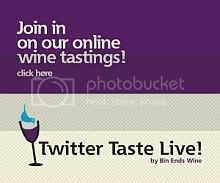 . . and learning about wine!